With the festive season approaching in central Bristol, the hairdressing team on Baldwin Street here at Aidan Garlington are focusing on some of our firm favourites – including our unique and popular Colour Bar hair colouring service. Ideal for fast and affordable hair colouring for Christmas parties and office celebrations in Bristol, our Colour Bar is ideal for providing clients with an effective hair colouring service – usually delivered within an hour. We can give clients the freedom to have hair colouring services for as little as £15, with the client being able to dry and finish off their own hair if required: our hair stylists in central Bristol can, of course, provide additional services such as blowdrying, but this will increase the client visit time to the Colour Bar. One of the most popular hair colouring services at our Colour Bar in Bristol is for a client to have 4-8 packets added on either side of their parting, to cover up the roots and give a quick and easy hair colouring service for party season. Alternatively, a client may prefer to have a full head of hair colouring provided – and we can assist on prices, colours and overall hair colouring options. Some clients using our Colour Bar in the run-up to Christmas and office parties in Bristol prefer to have quick flashes of pink, blue or green put into their hair which is a perfect hair colouring look for Christmas party hair. 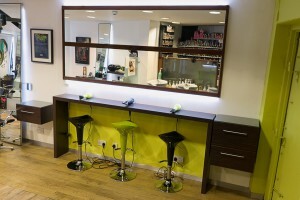 Simply pop into our salon, make a booking for our Colour Bar and our hair stylists will take care of the rest. To find out more about our Colour Bar and super-fast Styled to Perfection hair colouring services, please visit here. Whilst appointments are not always necessary for the Colour Bar, during November and December we advise all clients to book in advance, as our central Bristol hair salon is so busy with pre-Christmas client bookings. To see the full range of hair colouring, Beauty Works hair extensions, hair product box sets, hair restructuring products, hair treatments, beauty treatments, and hairdressing services we offer at our central Bristol hair salon, please get in touch here. One of the less-well-known hairdressing elements we deliver here at Aidan Garlington is our expert hair extensions services. And with the popularity of hair extensions in Bristol growing every month, we decided to talk about our preferred hair extension brand – Beauty Works. The example above is a classic example of where hair isn’t thick enough or doesn’t grow quickly enough, so using hair extensions represented a fantastic solution. The benefits of using hair extensions include the huge variety of colours, the fact that there is no commitment to put colours or chemicals into the hair, and hair extensions usually offer a healthier option for many of our clients. 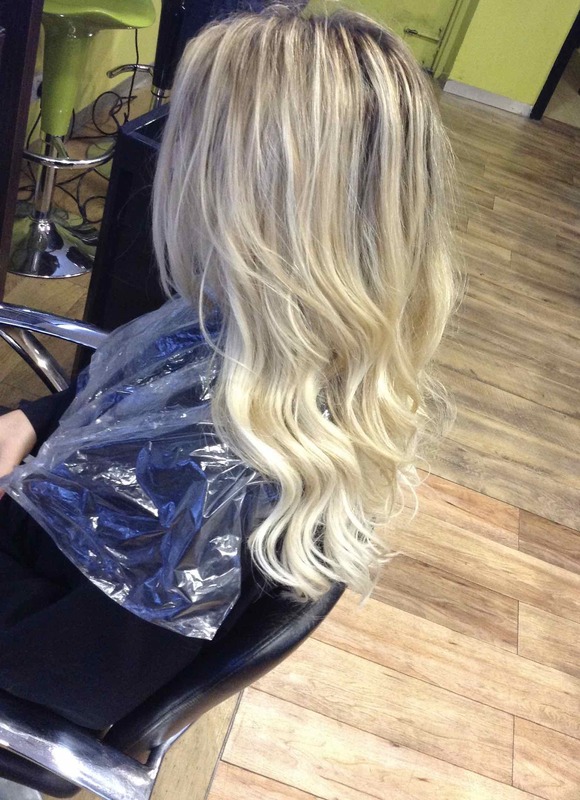 Hair colouring in hair extensions also lasts for longer – typically, three to four months. Hair extensions also hold stronger, brighter hair colours well including blues, pinks and reds. Our hair extensions also come in traditional brown and blonde colours as well. Beauty Works hair extensions offer a great combination of good quality human hair extensions with great value for money. For example, we offer a half-head of Beauty Works hair extensions of approximately 100 bonds from £350. 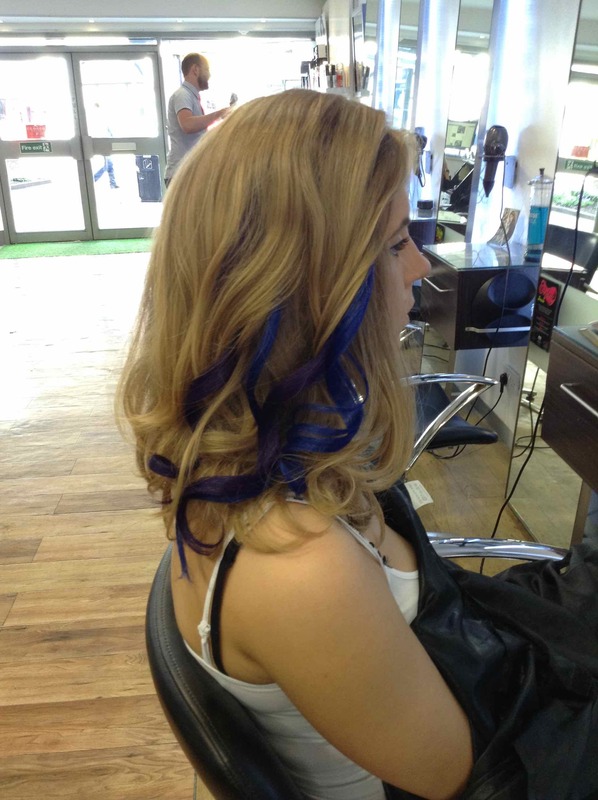 Prices vary, so it’s always best to ask when you make your hair extension service booking. 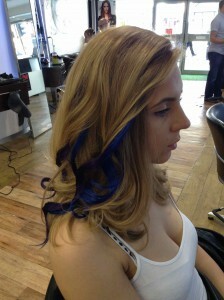 We offer a full and free hair consultation with every hair extension booking made. Typically, a half-head hair extension application at our central Bristol hair salon will take roughly three hours in the chair – ask our Baldwin Street hair stylists for more information. 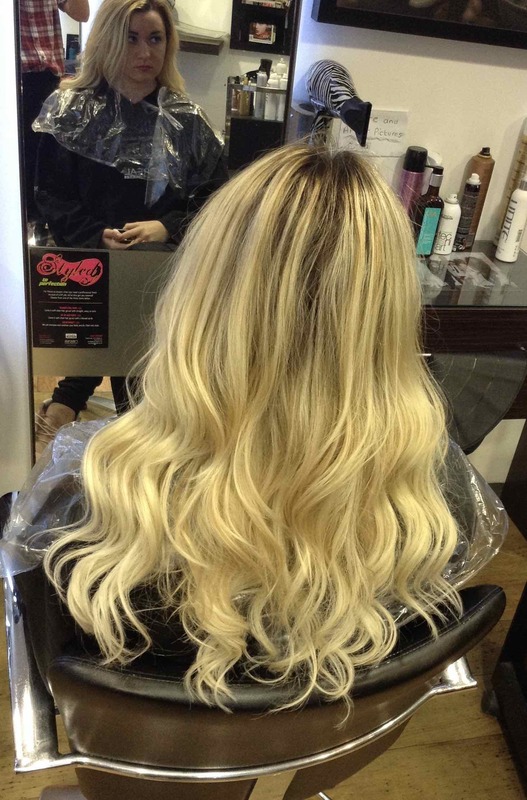 To see the full range of Beauty Works hair extensions, hair product box sets, hair restructuring products, hair treatments, beauty treatments, hairdressing and hair colouring services we offer at our central Bristol hair salon, please get in touch here. At Aidan Garlington our thoughts are now turning to the festive season, with many of our Baldwin Street hair stylists getting more and more bookings in place already from clients for December and the run-up to office parties and celebrations. And as well as our hair stylists getting busier during November and December, our clients are also looking to purchase hair product gift sets from our hair salon in central Bristol. Plus, we have Gift Vouchers for our full range of hairdressing services to treat a special friend, relative or loved one to enjoy a pampering experience at our central Bristol hair salon in January. Simply ask in-salon for further details, information and advice – let us help you to buy a stunning range of hair product gift sets and much more this year. Our central Bristol hair stylists can advise you on the perfect presents for the special woman in your life to ensure she feels thoroughly spoilt this Xmas. Finally, our unique and specialist Colour Bar is the perfect solution to getting Party Hair quickly and cheaply sorted for Christmas office parties in Bristol – with hair colouring services and Up-Do hairstyling services from only £15. Our express hair colouring services are perfect when it comes to getting ready for the annual round of office parties, Christmas parties and festive celebrations in central Bristol. We’re here to help. 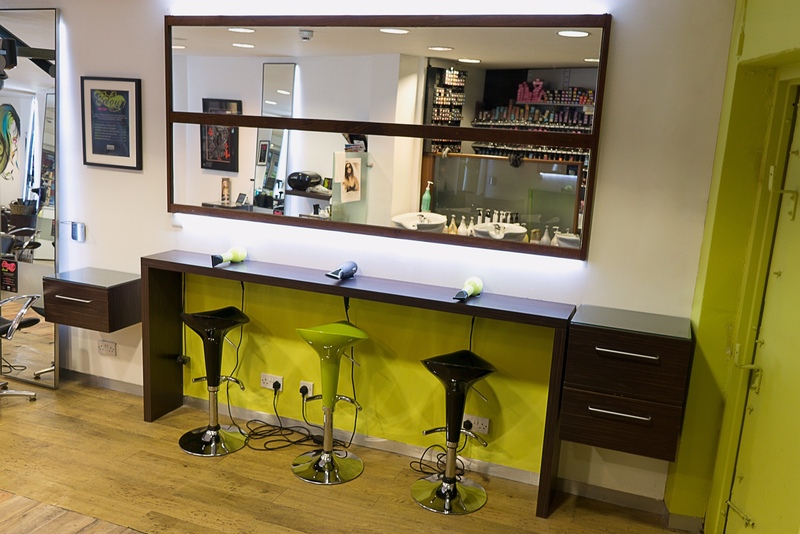 To see the full range of hair product box sets, hair restructuring products, hair treatments, beauty treatments, hairdressing, hair extensions and hair colouring services we offer at our central Bristol hair salon, please get in touch here.